Page 104 and 105: TÍTULO DA HORA COM MUITAS LINHAS! Page 106 and 107: TÍTULO DA HORA COM MUITAS LINHAS! Page 108 and 109: TÍTULO DA HORA COM MUITAS LINHAS! Page 110 and 111: TÍTULO DA HORA COM MUITAS LINHAS! 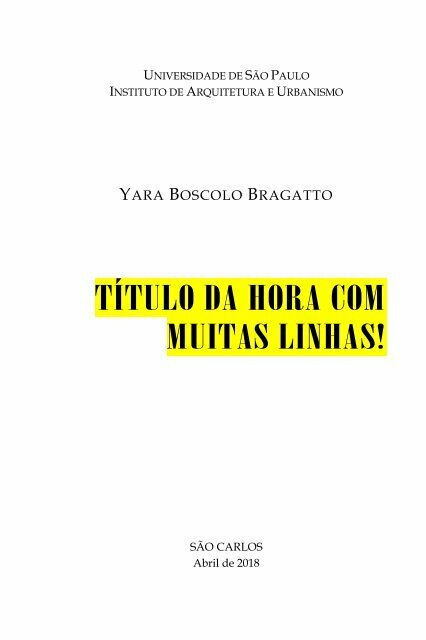 Page 162 and 163: TÍTULO DA HORA COM MUITAS LINHAS!